Soft vanilla, dark fruits, liquorice, coco nib with intense chocolate and roast malt ﬂavours. 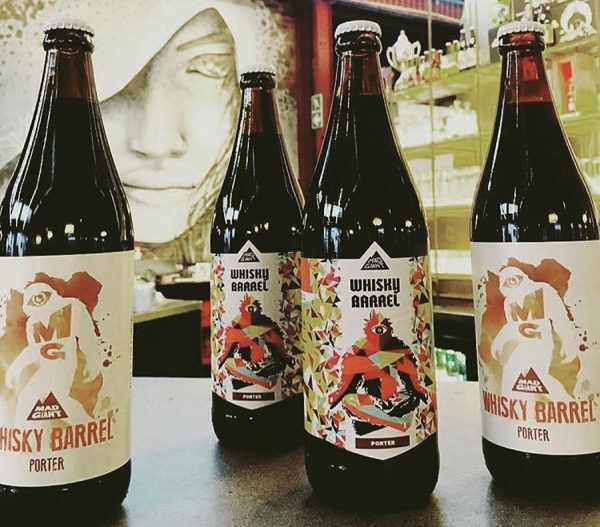 Note: Both the 2017 editions and the 2018 of the Whisky Barrel Porter are available at the Mad Giant Brewery Tasting Bar. Please note that they are very limited releases and subject to stock availability.